A great case study for experiential marketers globally is Duracell's human-touch bus shelter in Canada that went remarkably viral for employing a mix of great innovation and consumer insight to create the award-winning campaign. 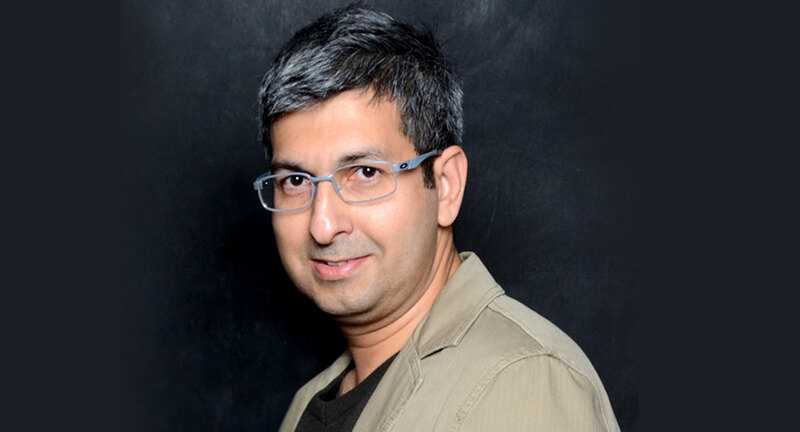 Closer home, keeping up with its repute of thinking out of the box, Duracell’s Marketing Director for Middle East & India, David Abraham, talks about how experiences are increasingly becoming a large part of the company’s overall marketing strategy. Q. What is Duracell's preferred marketing mix in the India/Middle East region? Our marketing mix is designed to ensure the maximum reach of our target consumers in the respective markets, respecting culture, language and media availability. For India, we focus on 4 points of communication; viz. TV, Digital, in-Store and activations/experiential. TV is the No. 1 preferred medium used by Duracell to reach the majority of our consumers across India. To be as relevant as possible to them, our TV copies are aired in 7 languages across the country (Hindi, English, Marathi, Tamil, Telugu, Kannada and Bengali) using both National channels as well as regional channels. Given the growing penetration(20%) of digital media in India with over 250 million internet users and over 100 million active social media users, Digital media is our 2nd preferred choice to reach our consumers. We tend to use the term digit and social interchangeably meaning all mediums in the digital space like Facebook, Instagram, YouTube, E-commerce, etc. With in-store, our third priority, we aim to ensure that we place permanent point of sale materials to help our consumer easily identify Duracell. We also understand that permanent POSM is important in the category to help drive impulse, with almost 40% of battery purchases being impulse. We then bring Duracell to life engaging with consumers through on-going in-store brand consultants across the leading Modern trade stores and supported with relevant consumers offers and in-store activations. Experiential marketing through in-store and in-mall activations is also key marketing tools to help the brand get a lot more personal by engaging with consumers at a one to one level. Q. What is Duracell's overall experiential strategy in India? Experiential Marketing is a marketing strategy which directly engages consumers and encourages them to participate in a brand experience. Experiential marketing is also called engagement marketing, live marketing, on-ground marketing, or special event marketing. It differs from traditional marketing in that consumers are not treated as passive receivers of a message, rather they are encouraged to be actively involved with the marketing program and the brand. This inclusion of the consumer helps develop a personal relationship with the brand and deepens loyalty. Experiential Marketing is one of the key strategies being used by Duracell. One of the 1st experiences we had with this was through the activation of Star Wars in-store in December 2015. This was then followed activating Star Wars in December 2016 and CARS 3 in June 2017 through in-store and in-mall activities across leading stores and malls across India. Sept – Nov 2017, we are activating our iconic Running Bunny communication on ground, culminates on the 12th of November with the Duracell Durathon. Here, families’ have the opportunity to come together in a fun and engaging way running either a 2Km or 5Km run, going stronger for longer. We believe that experiential marketing makes Duracell contextual and emotionally relevant. We believe so because of our iconic Duracell Bunny who is an integral part of any of our experiential marketing campaigns and engages with consumers in a warm, friendly and fun way. Over the past 2 years, Duracell has been active in driving awareness and engagement at the store level and within leading malls with permanent POSM, in-store brand consultants and exciting consumer offers and activations. Q. Is India a challenging terrain with reference to unconventional marketing practices? Traditional advertising includes methods such as ads in magazines and newspapers, radio and TV spots. However, unconventional marketing, often referred to as guerrilla marketing, often consists of creative, low-cost marketing methods used by businesses to promote a product or service. While conventional media is quite popular amongst leading brands, we see a growing importance of unconventional marketing as being key to engaging with consumers in an emotional manner. We thus, don’t really see challenges with unconventional marketing as long as you are able to partner with the right agencies with the relevant expertise and experience in running unconventional marketing initiatives as more often than not, the big conventional agencies will not be equipped to manage such programs. The main challenge we see if any is driving consistency across events as unconventional marketing is heavily reliant on people and thus, the right training is very important. Q. Tell us about Durathon and the brand's expectation from the campaign? When you ask consumers, what do you recall about Duracell, unanimously they recall the Running Bunny TVC copy from the 1980’s. In the TV copy, the Duracell Bunny graciously wins over his weaker battery powered contenders, which has become a global cultural phenomenon, known by almost all the people around the world. We thus, refreshed and relaunched the Running Bunny TV copy which is currently on air across leading TV channels across India. In the TVC you see the Duracell Bunny running stronger for longer and this is what we are hoping to achieve with our plan on the Duracell Durathon. While the Duracell Durathon is an idea conceived in India, running as part of dramatizing the longevity of Duracell is not new to us as a business. Duracell partners with different running events like the Great Run Series in the UK and the Moscow Marathon in Russia. In India, we decided to create our own running event in line with the Duracell brand’s promise of running stronger for longer. The word Durathon was conceived bringing 2 words together; i.e. Duracell and Marathon. Staying true to what the brand stands for, Durathon is a family run targeted at families with kids. Thus, to participate in the Durathon, there must be a parent and child running together. However, we believe that family does not only mean family related by blood, it’s the bond that counts. Therefore, as long as there is an adult over 18 years of age and a child below the age of 16 years, they are eligible to participate. We hope that the Durathon will become a property that Duracell can activate every year as part of the brand’s marketing initiatives in line with our communication of the Running Bunny. We would like to bring the Durathon to multiple cities across India where families can spend quality time together engaged in a fun and energetic way running stronger for longer. Q. What are the key parameters you look for in experiential agency partners? An experiential marketing campaign like the Duracell Durathon requires multiple partners from a creative agency, digital and media agencies, PR agencies and most importantly a great activation agency. It is critical to have a highly creative, dynamic and agile activation agency on the ground who understands the brand and very importantly understands the importance of engaging with consumers in a warm, friendly and non-invasive manner. Specifically, with the Duracell Durathon, it is very important to have a partner on the ground with expertise in organizing and executing running events. The staff must be very well trained on what the brand stand for and must understand the Duracell Bunny and his persona. They must also ensure that they adhere to the Duracell brand and bunny guidelines at all times and without exception. Q. What percentage of your marketing spend is dedicated to experiential marketing? Over the past 2 years, Duracell has invested a significant part of its marketing budget in experiential marketing. We allocate about 25% of our overall marketing budget on experiential marketing and hope to continue investing and growing this arm of our marketing mix.